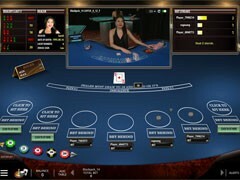 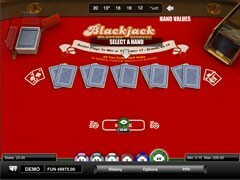 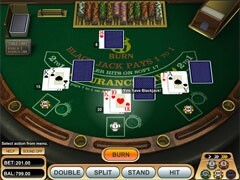 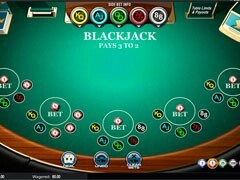 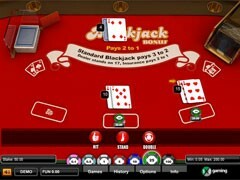 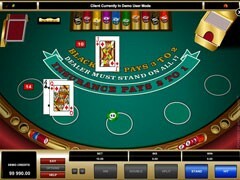 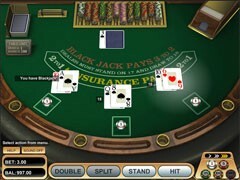 In this 8-deck blackjack game, the cards in the dealer’s hand are all visible to a player. 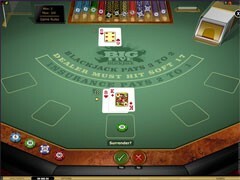 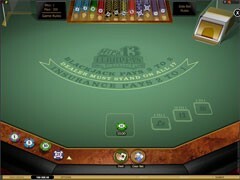 As a player has obvious advantages over the dealer, a blackjack hand wins 1:1, instead of 3:2 at most tables. 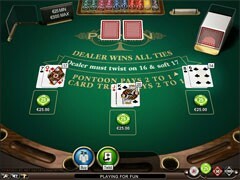 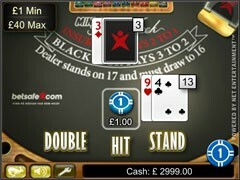 A player can choose to double down on hands with pair cards totaling 9, 10 or 11. 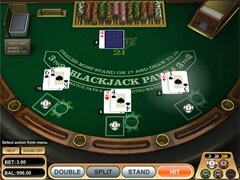 A hand can be split three times, and face cards (J, Q, K) are regarded as equal and can be split, too. 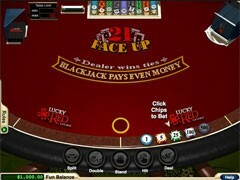 A dealer hits on soft 17. 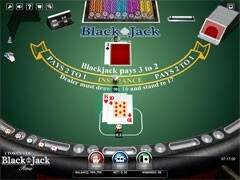 A player’s blackjack beats a dealer’s, but for other tied scores the dealer’s hand wins. 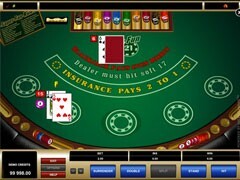 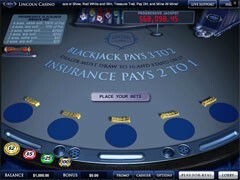 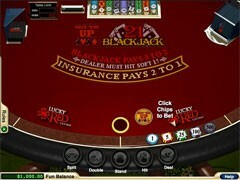 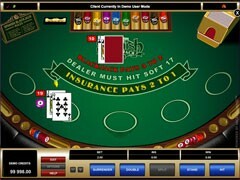 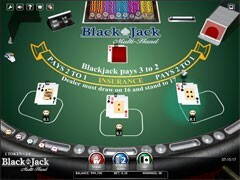 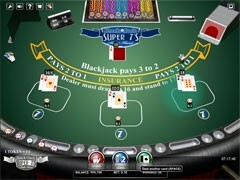 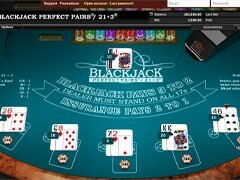 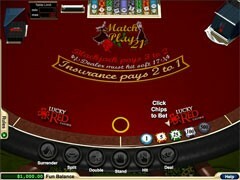 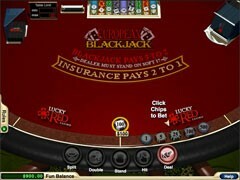 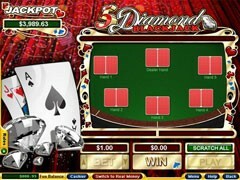 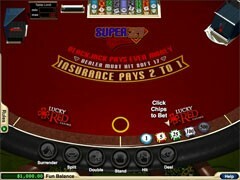 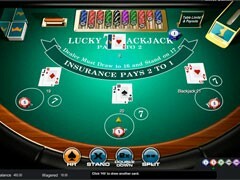 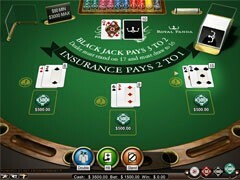 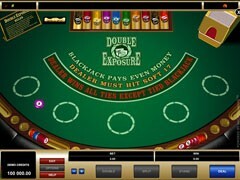 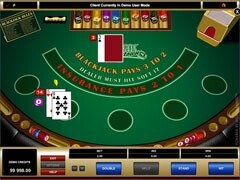 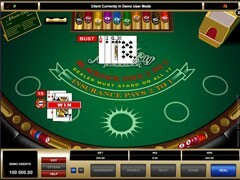 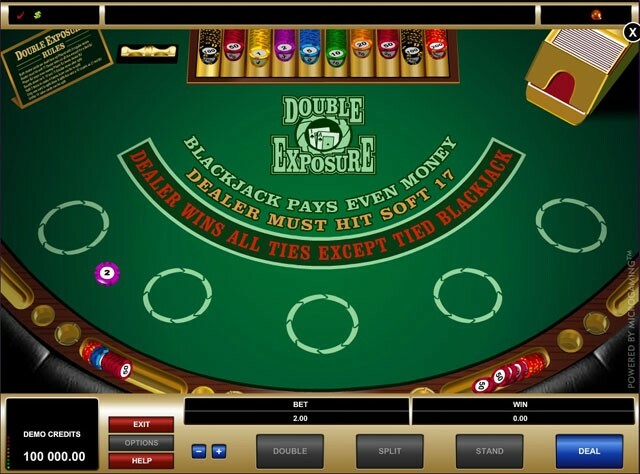 No insurance option is available in Double Exposure Blackjack. 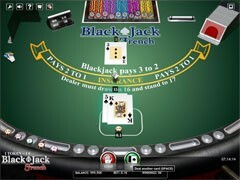 The game is delivered by Microgaming and NetEnt.